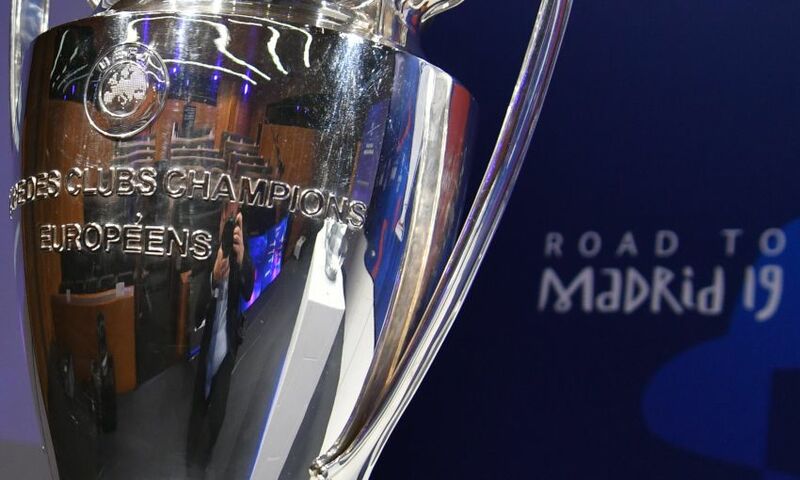 Liverpool FC would like to advise supporters enrolled in the European Auto Cup Scheme that payments for the Anfield leg of the Champions League semi-final against FC Barcelona will be processed from Thursday April 18 until Tuesday April 23. Liverpool will face FC Barcelona in the semi-finals of the Champions League. 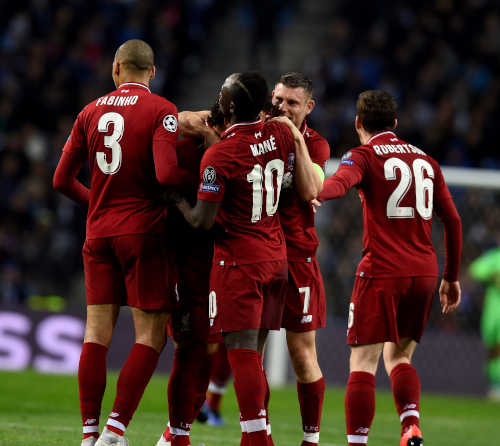 The Reds progressed by securing a 6-1 aggregate victory over FC Porto with a 4-1 win in Wednesday's last-eight second leg at Estadio do Dragao. Barcelona, who reached the semi-finals by defeating Manchester United, will host the first leg of the tie on Tuesday April 30/Wednesday May 1, with the second leg to take place at Anfield on Tuesday May 7/Wednesday May 8. Full fixture and ticket details will be announced on Liverpoolfc.com in due course. Tottenham Hotspur and AFC Ajax will contest the other semi-final. 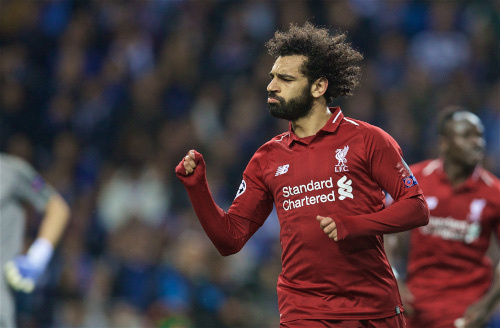 Liverpool successfully navigated their way into the Champions League semi-finals with a 4-1 victory over FC Porto at the Estadio do Dragao on Wednesday night. Sadio Mane’s VAR-assisted goal gave the Reds the lead on the night and furthered their grip on the tie, with the No.10 able to celebrate after an offside flag was overruled when he tapped in from Mohamed Salah’s shot-turned-cross. Salah grabbed Liverpool’s second of the evening on 65 minutes, with Trent Alexander-Arnold’s perfectly-weighted pass at the conclusion of a counter-attack enabling him to sweep beyond Iker Casillas. Eder Militao pulled one back for Porto by glancing in from a corner; however, Roberto Firmino restored the two-goal advantage on the night, nodding in from Jordan Henderson’s cross. Virgil van Dijk wrapped up the scoring by nudging Mane’s flick at a corner over the line from yards out, sealing a 6-1 success on aggregate. Jürgen Klopp’s men now face a mouth-watering last-four tie with FC Barcelona later this month to determine who will reach May’s final in Madrid. Liverpool made three changes for the encounter at the Estadio do Dragao as Divock Origi, James Milner and Georginio Wijnaldum came in for Firmino, Henderson and Naby Keita, who were all named on the bench. During his pre-match media duties, Jürgen Klopp had underlined his belief in the threat Porto would hold on home turf, insisting neither Liverpool’s two-goal advantage from the first leg, nor the memory of last season’s 5-0 win at the same venue, would count for little come kick off. And with just 33 seconds on the clock, The Dragons signalled their intent when Jesus Corona cut in from the right and arched an effort just over the crossbar. Shortly after, Moussa Marega controlled a ball into the area and struck goalwards on the spin; however, Alisson Becker was able to grasp the ball down to his right. Indeed, buoyed by the lively home support, Porto had registered five attempts on the visitors’ goal by the 10-minute mark, though only two were on target. Marega then steered wide from a Corona delivery and Yacine Brahimi had a close-range drive blocked by Joel Matip as the home team continued to press. Only superb recovery work from Van Dijk denied Hector Herrera a strike at goal after he’d superbly controlled a ball over the top. But finally, on 28 minutes, Liverpool took the lead and strengthened their grip on the tie – but it was a decision awarded in their favour by VAR. Mane was the scorer, stretching to tap in Salah’s attempted shot across goal. A raise flag initially ruled the effort out, but the subsequent check showed the No.10 was not in an offside position. Porto’s response saw Brahimi curl a side-footer into the midriff of Alisson and Corona hoist over from wide, while Milner was an inch away from a second Reds goal in first-half stoppage-time. Firmino was introduced for Origi during the interval by Klopp; while it was another substitute – Francisco Soares – who headed wide for Porto as they maintained their endeavours to find a way back into the tie. On the hour, Felipe spurned a good opening for the Portuguese side when he prodded well wide after being picked out by a free-kick into the box. However, Porto were undone on the counter on 65 minutes when Firmino sent Alexander-Arnold scampering down the right. The full-back then threaded an inch-perfect ball through for Salah to race onto and finish with aplomb when facing Casillas. The Dragons had something to cheer soon after with Eder Militao heading in from a corner to reduce the deficit. Joe Gomez had been brought on in place of Alexander-Arnold between the goals to register his first appearance since sustaining a leg fracture at Burnley on December before Henderson replaced Andy Robertson for the final 20 minutes. It was the captain who sent Mane speeding through on goal, but he couldn’t find the finish after side-stepping Casillas, striking wide when off-balance. Nevertheless, Henderson did claim an assist when he suppled the cross for Firmino to nod in Liverpool’s third goal of the night on 77 minutes. Van Dijk wrapped up a good night’s work by glancing Mane’s flick at a Milner corner over the line as the Reds set-up a semi-final tussle with Barcelona, with the first leg set to take place in Spain in just two weeks’ time. Listen to our free live commentary service as Liverpool visit FC Porto in their Champions League quarter-final second leg. Jürgen Klopp has explained why Divock Origi replaces Roberto Firmino in Liverpool's starting XI against FC Porto tonight. The Belgian lines up in attack at Estadio do Dragao for the second leg of the Champions League quarter-final, which the Reds lead 2-0. 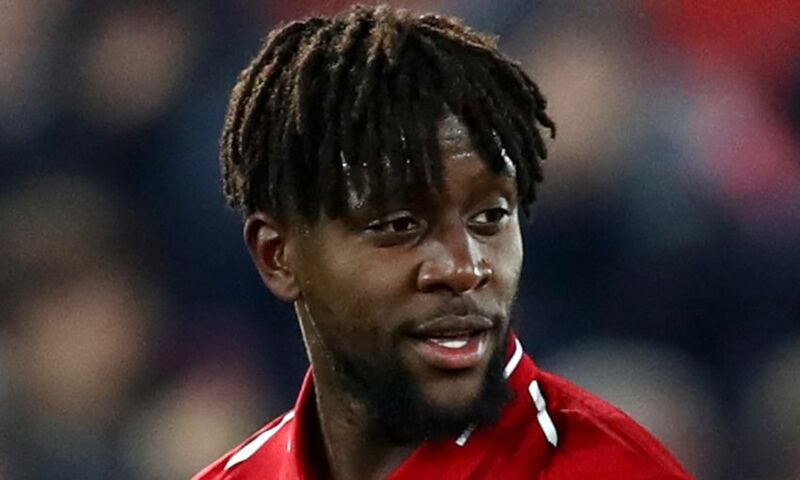 And Klopp revealed before kick-off in Portugal that Origi’s form and freshness, rather than any fitness issue with Firmino, prompted the switch. 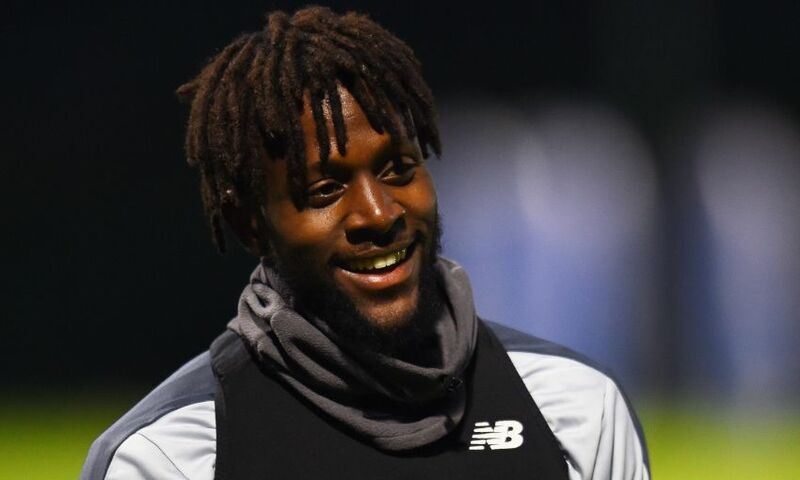 “No issue, actually – just respecting the fantastic form Divock Origi is in for weeks or months already, and bringing in fresh legs,” the boss told BT Sport. “That’s all, the same we do in midfield because we expect a very intense game, we expect a hard-fighting Porto side. So we need to be ready for that. Divock Origi starts for Liverpool in tonight’s Champions League quarter-final, second-leg tie with FC Porto. The striker begins in attack at the Estadio do Dragao, replacing Roberto Firmino in one of three changes to the team deployed against Chelsea on Sunday. Elsewhere, James Milner and Georginio Wijnaldum come into midfield in place of Naby Keita and Jordan Henderson. Liverpool: Alisson, Alexander-Arnold, Matip, Van Dijk, Robertson, Fabinho, Milner, Wijnaldum, Mane, Salah, Origi. 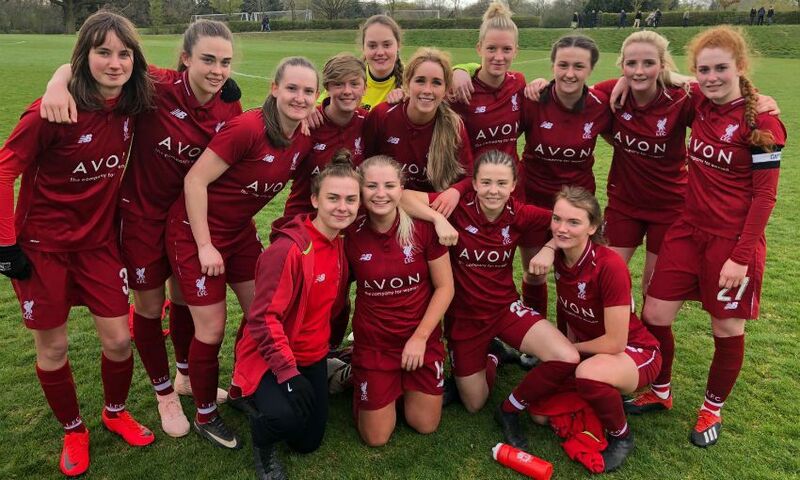 The future looks bright for Liverpool FC Women after their Academy team won the inaugural league title with three games to spare. A 4-2 victory over Chelsea last weekend clinched the title, the first under the auspices of the new Academy League, and fourth in total following three victories in the Development League. It marks another major achievement for the squad after recent first-team debuts for Missy Bo Kearns and Academy captain Annabel Blanchard. The team will have the chance to make it a double triumph on Sunday when they compete in the FAWSL Plate final. Blanchard said: “We are all delighted to win the league after such a hard season. It’s a fantastic achievement for all the players and staff after all the time and effort they have invested into the team. Head coach Martin Ho believes his squad has responded well to the challenges facing them all season. He said: “It’s a fantastic moment for the players to win the league title with three games to go. I asked for personality in everything they do and that has happened in abundance. “This group of players are a credit to the club and their families and it’s been a pleasure to work with them this season. We have had numerous challenges along the way and the players have responded positively each and every time. “I am delighted for every one of them and I want them to enjoy this moment but remain focused as we still have three big league games to go and the Academy Plate Final on April 21 against a very good Bristol City Women side. The celebrations are on hold for now but I want this to bleed confidence for the remainder of the campaign. Liverpool FC Women return to WSL action on Sunday at 2pm at Prenton Park against Bristol City Women with a 2pm kick-off. Tickets, priced just £5 and £2.50 concessions, are available here. Supporters have discussed a new club-wide approach to equality and diversity and the possibility of education being built into the club’s sanctioning process at a fans forum which took place on April 3. Attended by four members of club staff including Simon Thornton, diversity and inclusion manager, Susan Black, director of communications, and Lorna Duckworth, safeguarding and equality officer, the meeting lasted 90 minutes with contributions being made by forum members Paul Amann, Yunus Lunat and Steve Evans. Liverpool Football Club’s new approach to equality and diversity was presented by Simon Thornton who told the forum that the Red Together initiative would be “our focus from 2019-22” and that the basic premise was for it to allow supporters to work alongside the club and its workforce in delivering key objectives. 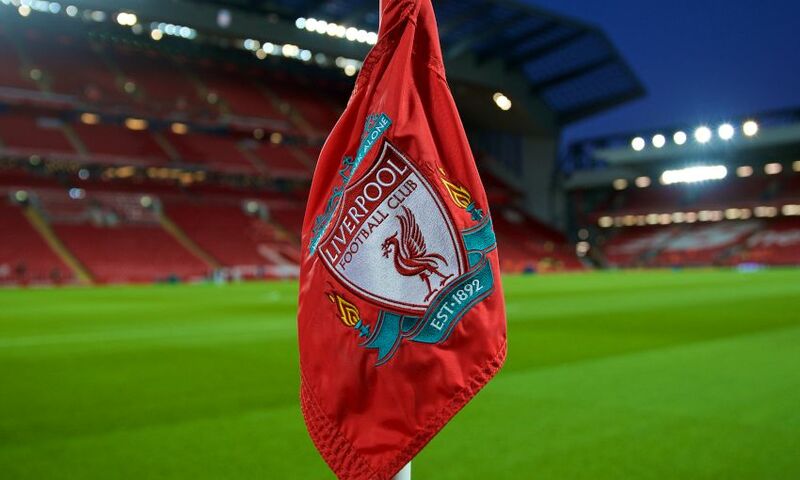 Referring specifically to staff profiles, Yunus Lunat said that the document refers solely to gender when statistics would inform that race needs to be a priority given the profile of the club’s current workforce, which is not as representative as the city region in which Liverpool Football Club is based. Further, that Liverpool Football Club should seek to attract the best workforce from beyond the Liverpool region and, therefore, to rely upon the regional statistics is not a true comparison. The benchmark should be the national profiles. Paul Amann said: “I absolutely agree that you need a clear strategy, but in my view the club continues to miss a trick when it comes to being more inclusive and more representative. We are all aware of the effects that funding cuts have had on community and grassroots organisations, many of which are based in areas that the club should be doing more to reach out to, and this is something that you should definitely be looking at. At the request of Yunus Lunat, and in light of a series of recent incidents, the club agreed to discuss the possibility of education being used as part of its sanctioning process in situations in which it may be deemed appropriate to do so. Yunus Lunat added: “With a lot of sanctions processes it is a case of throw away the key and do not pass go. I am not suggesting there aren’t cases in which individuals deserve to be banned and indeed should be banned but sometimes you have to look at the behaviour and the person responsible for it and ask whether there is an opportunity for education and reform. With Spirit of Shankly (SOS) representative Phil Rowan unable to attend the forum due to work commitments, forum chair Tony Barrett confirmed that he had consulted with outgoing SOS chair James McKenna prior to the meeting. During that conversation, James McKenna confirmed that SOS would be supportive of education being added to the sanctions process. Paul Amann said: “In terms of sanctions, a further issue that hasn’t been mentioned is consistency. The lack of consistency with which instances of racism are dealt with in comparison with instances of homophobia is something that needs to be addressed. There have been examples in which racism has been, quite rightly, dealt with severely but the same has not been the case when it comes to homophobia. There needs to be a level playing field for sanctions. “But in relation to education and rehabilitation, I would add that if someone does go through that kind of process it would be up to the club to track their behaviour if and when they returned to the ground. I know this might be perceived as a bit ‘Big Brother’ but it is a fair response to the kind of behaviour that we are discussing as the one thing that would not be acceptable would be for it to be repeated unchecked. Liverpool earned a hard-fought draw en route to winning the 2001 UEFA Cup the last time the club contested a European quarter-final at FC Porto, but can you remember the starting XI from that March evening in Portugal? The game ended goalless at the old Estadio das Antas and a repeat result at the Estadio do Dragao on Wednesday night would see Jürgen Klopp's current Reds advance to the semi-finals of this season's Champions League, having won 2-0 in the first leg at Anfield last week. Gerard Houllier was the man in charge back in 2001, when Michael Owen came closest to breaking the deadlock but saw his 24th-minute effort saved by Porto's Sergei Ovchinnikov. A young Steven Gerrard forced another stop from the Russian goalkeeper with a curling effort from the edge of the box on the hour mark, but defences would eventually come out on top in the match. Liverpool's rearguard was marshalled superbly by Sami Hyypia, who, alongside his regular centre-back partner, a German full-back and an Academy graduate, ensured his team kept a clean sheet against a Porto side that had won 21 times in a 27-game unbeaten run at home. So, we've given you three players and a couple of hints there, but can you recall who made up the rest of the first XI that day? Can you fill in the Missing Men below? Who's likely to play tonight, then? 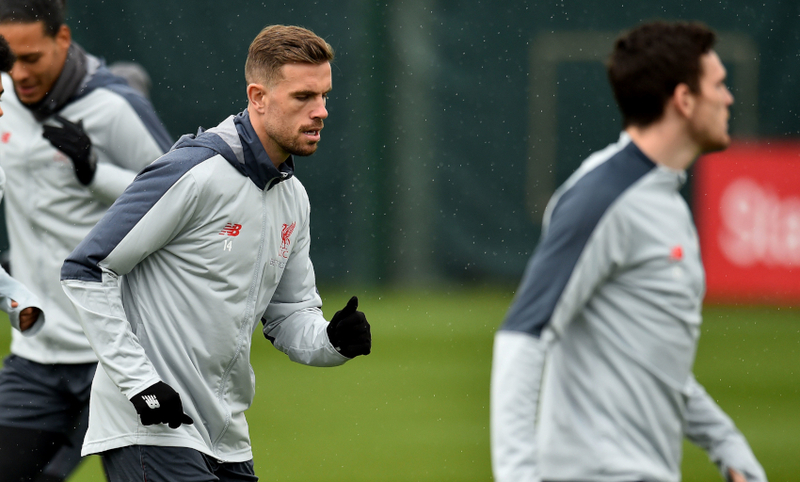 Well, Jordan Henderson is 'fine' after he picked up a knock in the weekend win over Chelsea, Jürgen Klopp confirmed on Tuesday. Meanwhile, Joe Gomez and Adam Lallana are back in contention, but Dejan Lovren and Alex Oxlade-Chamberlain did not travel. Andy Robertson missed the first leg due to a one-match ban, but the left-back is eligible to play tonight. For Porto, Pepe and Hector Herrera could also return after they also sat out the game at Anfield because of suspension.